I hope you spent it well, and with at least a doll, tee hee.. The other weekend, my family and I went on a 5-hour bus and boat travel to our favorite summer beach destination and of course, everyone had so much fun! ... because for today, we are featuring a dear dolly friend who is one of the nicest I've "met" in this doll universe. She's been collecting for an awesome 25 years now, her collection is focused mainly on black dolls, and she has a mission! Debbie Behan Garrett is a published author and the blogger behind Black Doll Collecting, a blog that features her beautiful collection, her creative dolly pursuits, dolly news, among other topics that keep us dolly lovers updated and entertained. 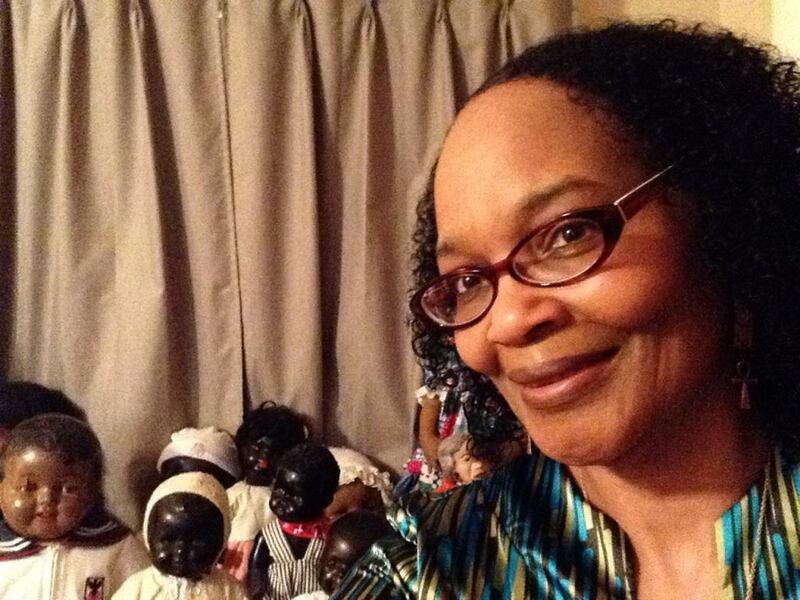 Check out Debbie's three books on the subject of black dolls. 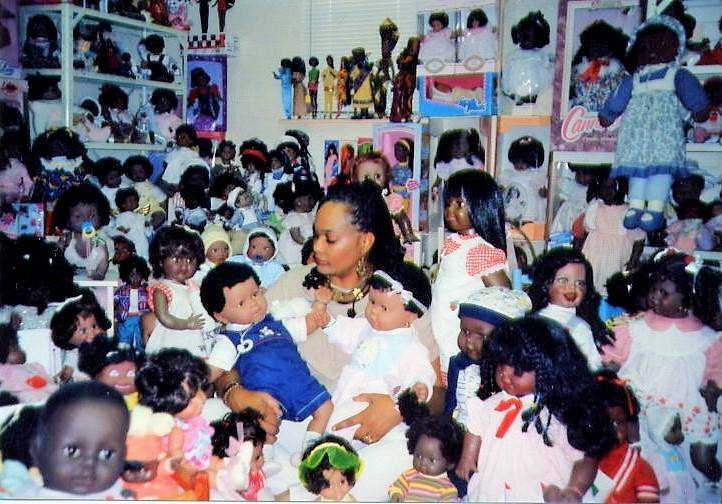 Just seven years in collecting here in a photo in 1998, Debbie has already amassed hundreds of black dolls! Debbie and I "met" on Etsy, when she first ordered leggings and tops for her sixth-scale ladies in 2012. I was so happy when she told me that she shared a post about my creations, detailing how she appreciated and enjoyed them a lot. From then, I have met other collectors who eventually became my dolly friends to this day. I have found a great community around her blog, as I really enjoy reading her posts and chatting with her followers there, too! Debbie kindly said yes when I asked her to be one of our dolly contributors for the Doll Collecting Tips and Topics series. With her long and rich experience in doll collecting, and most importantly, to a specific doll preference, Debbie has so much to share with us. You could just imagine how I instantly became the happiest kid on earth when she said yes (again) for an exclusive interview, right? our Creative Doll Collector for the month of April. 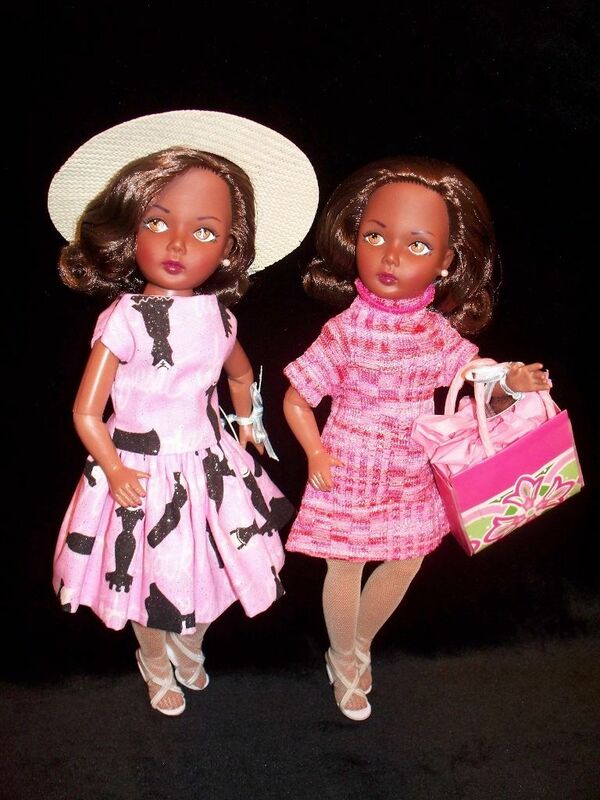 Please tell us a bit about yourself aside from being a doll collector and advocate of black dolls. I am a wife, mother of two, and grandmother of two handsome grandsons. I work in a virtual office setting as an auditor for one of the leading providers of clinical documentation. When not collecting or writing about the dolls I love, I enjoy watching informative documentaries, listening to soothing music, spending time with my grandsons, and curling up in the bed with a good book (a physical copy or one stored on my Kindle). It has been 25 years since your first purchase of a doll collectible, which started it all for your collecting journey. What can you tell about the doll collecting industry, particularly about black dolls? The doll collecting industry with respect to black-dolls has evolved and the evolution continues. 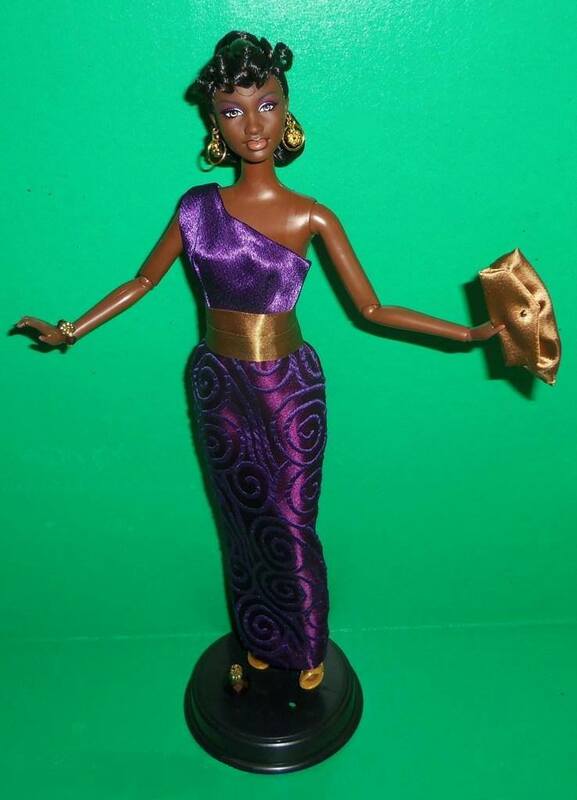 Today’s black dolls are more adequate representations of black people whereas many early black dolls were racial stereotypes, portraying black people in postures of servitude and/or with exaggerated facial features. 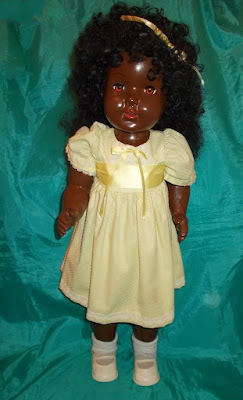 It was probably not until the 1960s before the physical appearance of black dolls as a whole exhibited more positive imagery. 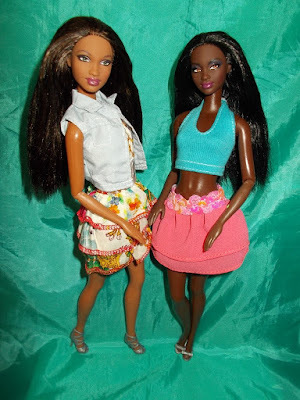 I have also witnessed first-hand the improvement in the appearance of black dolls from the 1990s (when I purchased my first one) compared to today’s doll creations. A variety of complexions are now used to illustrate the vast color spectrum of black people whereas in the 1990s and prior, Hershey-brown and often an unrealistic gray-brown color were used for many black dolls. 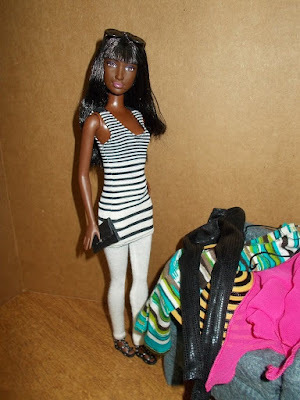 With the help of the Internet, black-doll access is also better compared to the limitations experienced by parents of adults in my age group and collectors in prior years. Do you think the market of black dolls has substantially increased since your first few years? If yes, what do you think are the factors of this exciting milestone? If no, would you know any factors? The market for black dolls from a collector’s perspective has always been a viable one and is even more viable today as a result of improved access and availability. More companies are including black dolls in their lines and in recent years many black-owned doll companies have formed. With access to the Internet, a collector can find just about any type doll they desire. The improved doll access is beneficial for conscientious parents who desire the cultural awareness through playthings that I desired for my children. In your very big collection of dolls, you also have a plethora of doll categories, including precious ones handmade from more than a century ago in your collection. How do you manage the identification and preservation of these, especially the much aged ones? I did not do this early on, but since 2008 I have maintained a doll inventory procedure that I follow religiously. With each new doll, I enter its specifics into an Excel workbook to include: manufacturer’s name, year made, doll’s name, physical description, cost, and a photograph. The workbook contains spreadsheets for years 2008 through present. The dolls are always in a climate-controlled area and none are exposed to direct sunlight or harsh temperature changes. The more delicate ones are in a curio cabinet or storage trunk. I know that during your collecting journey, you have developed a mission and a vision, specifically for empowerment, uplifting self-love and image positivity. How do you think both the doll industry in general and its trends contribute to your advocate? As mentioned previously, many early US-made black dolls, specifically those made during my 1950s childhood and prior, were demeaning. 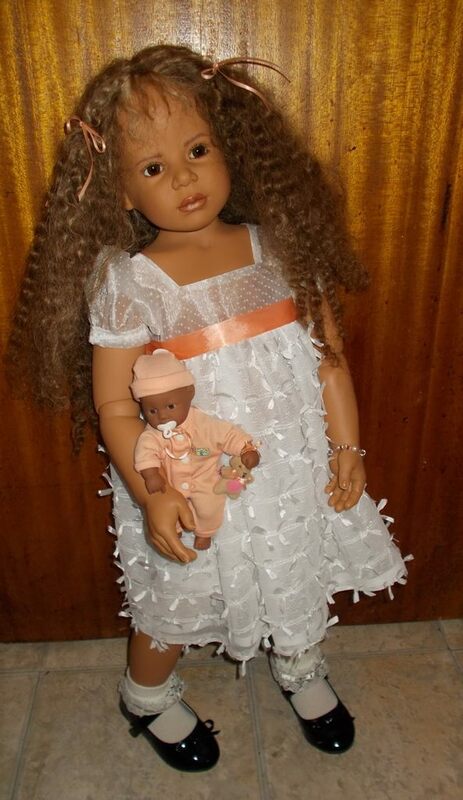 During this time, dolls that were brown versions of their white counterparts, that were more appealing, were often not available in some areas of the country particularly in the South because xenophobic store owners refused to stock them. As a child who never owned a black doll, I subconsciously developed a void that could only be filled by my possession of black dolls as an adult collector. This lack of positive playthings with which I could have fully identified greatly influenced my adult advocacy for black children to own black dolls. Representation and positive imagery are vital to helping children develop a strong sense of self-love and worthiness. Because many new doll companies and merchants are focusing on black and multicultural dolls and existing doll companies are creating more inclusive lines reflective of all people, my mission continues, but is less intense. As not just an ordinary collector but a creative one at that, how does your collecting fuel your passion and creativity? Each time I see a beautiful black doll my inner child is awakened. I derive pleasure with just the thought of a black doll. They excite my senses, renew my spirit; black dolls bring me joy. Because I have always loved researching subjects of interest and writing, there is nothing better to me than sitting down at my computer to write about a new doll acquisition or to inform the readers of my blog about a new doll that has either entered the market or about one that will soon be released (whether or not my plans include acquiring it). When a doll arrives that does not completely satisfy me, my creative juices flow by making the necessary changes to enhance its appeal. What creative activities do you do around your collection? As mentioned, I write about my dolls and I do minor doll makeovers and repairs. I have changed dolls’ wigs, restyled existing ones, and made wigs. I do not sew, but if I had the patience to do it, I would design and sew clothing for my dolls. If I had the patience and skill to paint, I would perform repaints to achieve more facial realism, particularly for the eyes. Maybe one day, with more free time on my hands, I will cultivate these unrealized talents as well as the possibility of doll sculpting. Sculpting is something I would really love to learn. I have become quite adept at composition doll repair, but only for myself. This is not something I have perfected enough to perform for others. Can you tell us if you have done any collaboration with black doll artists? From 2002 through 2006, as co-editor of Black Doll E-Zine, the only e-zine devoted to collecting black dolls, I interviewed black doll artists (and collectors) and published their profiles in this quarterly publication. Through collaborative efforts, I have also written doll articles about artists and their dolls which have been published in Doll Reader, Dolls, UFDC’s Doll News, and Fashion Doll Quarterly. 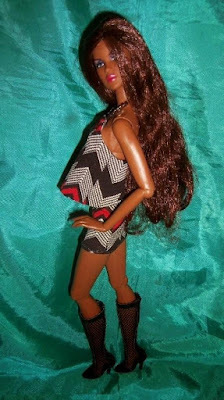 Additionally, along with the members of my online doll group, We Love Black Dolls Anew, I collaborated with artists whom we commissioned to create annual club dolls. A portrait paper doll of Debbie at age 10 by Diana Vining - so cute!!! You have published great books about Black doll collecting, please tell us what prompted you to do so? In 2002, I was contacted by the CEO of Hobby House Press with a request to write a black-doll reference book. The CEO, Gary Ruddell, had received an appeal from a fellow black-doll collector to publish a black-doll reference book because at the time none had been published in almost a decade. The collector offered Gary my name as the potential author, and the rest as is often said, is history. After Hobby House Press closed their publishing doors in 2006, I went on to self-publish two other books on black dolls because the need for black-doll documentation existed and still does. You also run a very successful blog, helping other collectors like me in many ways. How do you see your blog in the next, say 5-10 years? Since my blog posts are usually about dolls in my collection, and because I am selling several, my posts over the next few years will probably focus on reconnecting with dolls that I plan to keep—dolls that have never been written about in the past, which may actually be new to many readers. Through my blog posts, I will continue to share black-doll-related news such as upcoming doll shows and other events. Guest posts from others from time to time will also be featured, and who knows, in 5-10 years, I may have mastered the art of sculpting and doll making and will then write about my own creations. Any words of wisdom you might want to share with us who are relatively new to doll collecting? My best advice to novice collectors is to buy what you like (and can afford) without regard to any current or future perceived value. You can never go wrong collecting what you like, what warms your heart, what renews your spirit. So there you go, guys! I hope you enjoyed reading the interview with Debbie as much as I did. I am just blown away by her rich experience in doll collecting, and the way she expresses her life ideas through this journey of collecting. 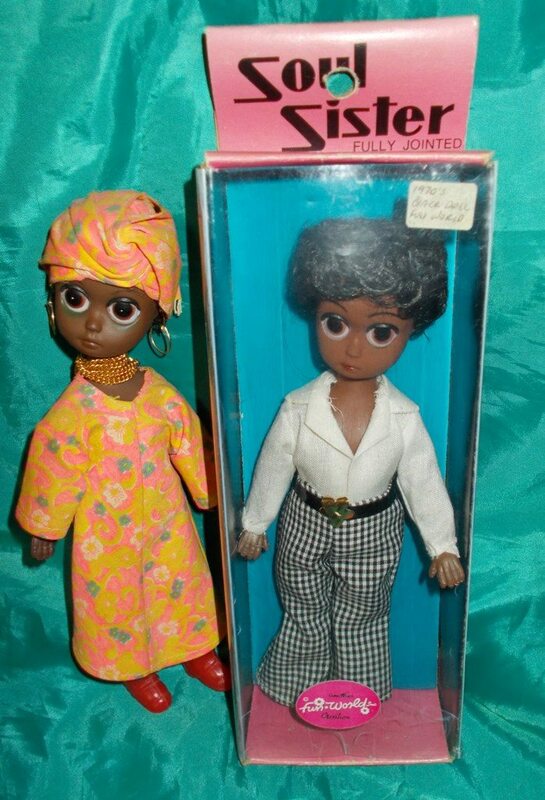 The way I see it, black doll collecting, as a whole, is Debbie's art. She may have other brave endeavors, but this one, I am pretty sure is one of her masterpieces. Again, I would like to thank Debbie for giving me the honor to pick on her brains and wonderful memories, so that we, too, can be inspired while traversing this collecting journey, which sometimes can be a solitary thing. The photos she shared in this post are each a delight to see and very much appreciated. I'm looking forward to see more from her blog in the years to come. Thanks to you, dear dolly friends for reading up to this point. I hope you enjoy it and I hope to chat with you again soon! Hey Hey Marta! Glad you like Debbie's interview! For sure, any collector would like to have an opportunity to see her collection! But for now, listening to her talk about her collection and her mission already suffice. We are both among her many fans! Thank you so much, Thammie... Love it that you like it! Awesome!! Debbie was the perfect person to interview. She has a wealth of knowledge about this hobby. Very written! Thanks Shasha! I totally agree, Georgia Girl that is why I was so happy when she agreed to be interviewed! Glad you like it, dear. Thanks much!!! Great interview with Debbie Garrett. Because of her, I have learned about many other types of dolls like the Big Beautiful dolls. I was able to connect with the creator of BBD and own a Dasia. Her blog is very informative and I love her collection and the stories she tells. I know that she is an inspiration to many! Thank you so much Shasha for the interview and for sharing it with the readers of your blog. Many thanks to those who have taken the time to read it. I appreciate your kind words. I remain forever humbled and honored. It is my honor for you to be here, DBG! Thank you so much for generously putting in the time for this little interview of ours. Looking forward to where this tiny journey of ours bring us! Cheers!